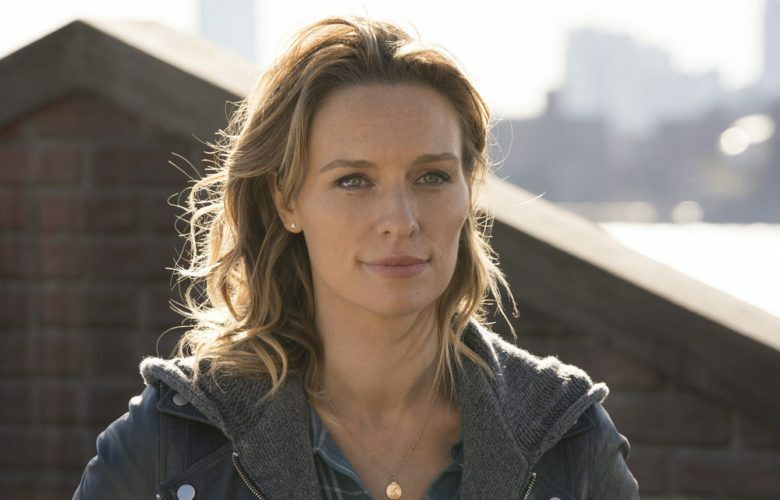 Michaela McManus on ‘The Village,’ Dealing With Mom Guilt & Her Best ‘One Tree Hill’ Memory – Pop. Culture. Blush. Michaela McManus’ Twitter bio reads: Kindness goes a long way. There’s something so powerful about that message. Maybe it’s today’s climate. Maybe it’s that not enough of us are kind to one another. Either way, it made me love Michaela McManus a lot more. I first came to know Michaela when she joined the cast of One Tree Hill in 2008 as Lindsay Strauss, Lucas Scott’s (Chade Michael Murray) new love interest. Needless to say, I was not rooting her (sorry, Michaela!) — after all, I was Team Leyton (Lucas + Peyton) all the way. Fast forward nearly 11 years later, the Rhode Island-born actress is now starring in NBC’s latest tear-jerker, The Village, as inspiring single mother Sarah Campbell. The series follows a group of neighbors living in an apartment building in Brooklyn, telling the challenging stories of each character. I caught up with Michaela McManus to talk all things The Village, “mom guilt,” what keeps her inspired and motivated, and her best memory from her days on the set of One Tree Hill. The Village has been compared a lot to This Is Us, but what makes this show unique to everything else on TV right now? What I love most about this show is how relatable it is to everyone – no matter who you are or where you live. It’s everyday people dealing with everyday struggles: ups and downs, heartbreaks, joys, challenges, victories. My hope is that people watch our show, recognize themselves in our characters, and come away with a perspective they didn’t have before. We all have a common bond in our human experience. While we might not look the same on paper, we’re much more alike than we realize. I think that’s a beautiful message to put out right now. The Village is about this group of people with a strong bond, who in your life is someone you have a very strong bond with and what is that relationship like? My mom and I have always been incredibly close. I’m the middle of five kids and I always look back and wonder how she did it all. She was a stay at home mom by day and then at night she would head off for play rehearsals at local theaters in Rhode Island. She managed to be at all my sports games, start a drama club, hold family dinners every night — just above and beyond. My mother also taught me the importance of following your passions, being true to yourself, and working hard. She’s wickedly funny, sharp, kind, supportive, and always there when I need her. I’m always trying to live up to her in some way as a mother and an actress, but she set the bar pretty high. Let’s talk about your character Sarah, I know she’s a single mom and a nurse. Beyond that, what would you say is most standout about her and who she is? What I love most about Sarah is how committed she is to being a good mother, despite the fact that it hasn’t been an easy road. She got pregnant at 18 and didn’t have a partner or her family’s support. It’s been a long, tough journey but Sarah always perseveres. She’s made mistakes along the way, but Sarah leads with her heart. It’s inspiring to play a woman who is independent, strong, and fiercely devoted to her child. You’re a mom yourself — were there moments during filming that you found yourself really relating to Sarah? Because I feel so connected to Sarah in motherhood, my scenes with Grace Van Dien who plays my daughter, Katie, always feel very close to home. That bond is so intense and I’m lucky to work with Grace who is such a generous scene partner and friend. Since becoming a mom, how would you say life has changed? How do you try to juggle it all and keep it all together? I know as a mom, I personally feel like I’m near drowning daily and somehow make it back to the surface (almost) unscathed. Since becoming a mom, everything has changed! I don’t even know who I was before my kids were born. It’s kind of a blur, honestly. Being a mother is the hardest thing I’ve ever done but it’s also the most rewarding. I definitely haven’t figured out the whole work/home balance thing. I’m not sure I ever will. I just try my best to be completely present with them when I’m with them, tell them I love them a million times a day, and smother them with affection. I try to enjoy every moment because they grow up so fast. Work in my business comes and goes, but they’re my constant. They’re my everything. If you could give one piece of advice to new moms, what would it be? I think my advice would be to be easy on yourself. “Mom guilt” has haunted me from the get-go and it’s a killer, but it’s so important to be kind to ourselves. And find other moms to lean on when you’re struggling. I have such an incredible group of mom friends that I rely on constantly for support, advice, and sometimes a shared glass of wine at the end of the day to swap stories and laugh. I wouldn’t trade those friendships for anything. In your day-to-day and with the world climate how it currently is, how do you keep inspired and motivated? These past several months have been some of the best of my life because I’m working on material that keeps me inspired and excited. This show really challenges me and brings me back to why I wanted to be an actor in the first place. And my cast and crew! Honestly, it’s a dream. It’s been a little over 10 years since you were on One Tree Hill. The show has become pretty much iconic — what are some of your best memories from that time? My best memory is meeting my husband, Mike Daniels. He was a writer on One Tree Hill, and he came to Wilmington for a couple of days while we shot the first episode he wrote. It was one of my first episodes too. I sat next to him at a big cast dinner and I remember thinking, “this is the kind of guy I want to marry.” I was so taken by how talented, kind, funny, and humble he was. He still is. I don’t know how to top that memory. If you could have your pick of being on any show, past or present, what would it be and why? I would have to say Friday Night Lights or Breaking Bad. They’re both totally different, but they each took such hold of me when I watched them. To be a part of something you admire so much… That’s always the goal. The Village airs Tuesdays at 9/8c on NBC!